With its meandering sands, blue waters, and lush tropical foliage, Barkers Beach is a photographer's dream. Kick back with a good book, walk the shoreline from the entrance of Barkers National park to Barkers Point, or relax with a BBQ. Whatever you choose to do you can guarantee you won’t see many people. During windy season, November - April, you'll find Cayman's kite mecca located here. It's also the place to be if you've ever fancied galloping a horse across white sands at sunset. It's wild, unspoilt Cayman at its best, and a necessary stop for any island adventurer. It’s a little known fact but Cayman can play host to world-class swell. If you’re lucky enough to be on-island when the conditions are best - in the winter between December and April when the swell comes consistently from the south - then you might just get the perfect left beach break. If however you’re a beginner and fancy trying your luck at becoming the next Jon Jon Florence or Sage Erickson look no further than joining surf camp at South Sound beach. Lessons can be booked via Waterman Surf Shop on Seven Mile Beach. A few minutes from George Town, surrounded by lush tropical foliage, Cayman Equestrian Centre offers a range of riding activities for beginners and experienced riders alike. The centre is run by Mary McTaggart who's family comes from long standing equestrian links, involving showjumping and dressage. Visitors with children are encouraged to visit the petting zoo, open most Saturday mornings from 8am - noon, where children can get introduced to goats, miniature ponies, and rabbits. Basic light refreshments can also be purchased onsite. This place is a hidden gem and well worth a visit. Named after the coordinates of the Cayman Islands, 19-81 Brewing Co. has deep ties to the maritime heritage of Grand Cayman. The brewery is devoted to creating premium quality craft beer for island living. Made using specialised equipment and traditional craft brewing techniques these artisan beers ensure a superior taste in every handcrafted keg or bottle. The Queen Elizabeth II Botanic Park is a unique blend of natural beauty, culture and history. The simple elegance of a traditional Caymanian garden with the startling beauty of exotic floral displays will leave you breathless. Climb aboard Cayman’s only electric bio boat and experience a bioluminescent tour like no other. Tom your guide will introduce you to this sea sparkle phenomenon, caused by tiny bioluminescent plankton. You’ll learn how the bioluminescent works and discover the delicate environment in which it lives. The custom built bio boat has removable floor hatches so you can experience the bioluminescent in a safe, interactive environment. Cayman Kayaks also offer bioluminescent tours by kayak - a short comfortable ride to bio-bay - but it’s Tom and his team’s passion for this natural habitat that really sets their tours apart. Give the hotel buffet a break and visit South West Collective for one of the best breakfasts in Grand Cayman. 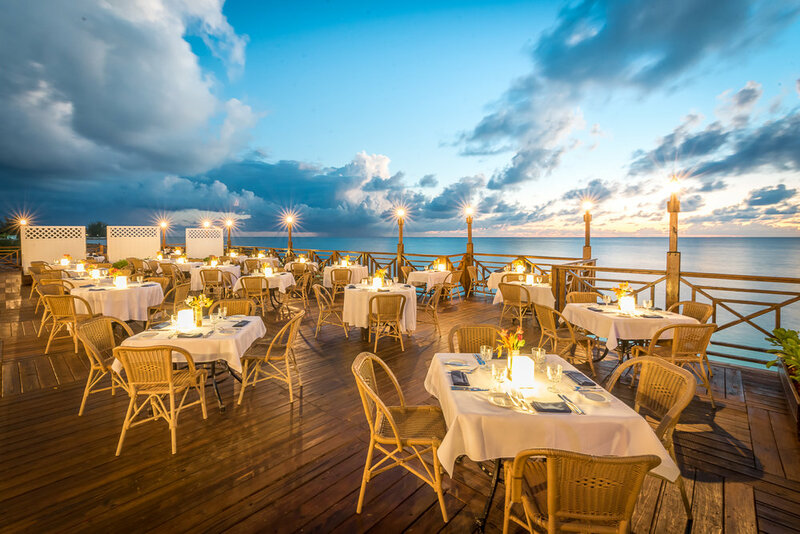 Fans love the hearty, well-crafted plates made with finesse at this airy cafe-bar and coffee house on Grand Cayman's George Town waterfront. Panther coffee, swift counter service, and superb breakfasts including house made granola, breakfast salad, and avocado and tomato toast - keep the clientele coming back. Husband and wife, Jessie and Lachie, have lovingly craft every corner of this ultra hip haunt. Not only famed for it’s breakfasts, but it’s off-beat events, funky Friday night happy hours, and all round healthy vibe, make it probably the best cafe in town. Grand Old House isn't just one of the oldest restaurants in Cayman, it's also located in one of the oldest buildings too, formerly a Caribbean Great House in the 1900s. Today, the long wooden bar and linen-topped tables are always full. The restaurant looks largely the same as it did when it was opened over 50 years ago and it’s ocean front veranda offers impeccable charm. While it’s not cheap, Grand Old House is uniquely Caymanian, and an enduring symbol of good taste. Five Star Charters provides a one-of-a-kind experience for guests to escape and indulge. Their pristine 48’ Sea Ray Sundancer provides all the comforts of home, including an air-conditioned cabin. All you need is a bathing suit - they have the rest covered: beach towels, sunscreen, snorkeling gear, jet ski, gourmet hors d’oeuvres, homemade rum punch, champagne and cold drinks. Five Star Charters will customise your cruise with the perfect blend of activity and relaxation. Offering three time-based luxury cruises (sunset, half-day or full-day) and with food and beverage options available upon request, including a gourmet barbecue prepared by a private chef on the boat or beach there’s no reason not to book this once in a lifetime adventure! This secret beach lies on the north coast of Grand Cayman roughly 1 mile east of Rum Point. Tucked away between the homes of Cayman Kai not much goes on here. But what it lacks in amenities it makes up for in bountiful droves with it’s idyllic island-hideaway vibe. Pack a cooler or bring a BBQ and spend the day strolling the rustic coast line, snorkeling the reef, reading your favourite book and generally reconnecting with the simple life. The beach is best experienced when the wind and swell is from the south as easterly and northerly elements can make the sea choppy and bring seaweed to the shoreline. If you’re not a weather buff we recommend looking at the swell chart here before making the journey. But if you strike the weather right it’s absolutely sublime.